Tod Marshall, Spokanite and Washington state poet laureate, is in a mood to protest for freedom of speech. Eastern Washington takes a considerable amount of pride in the fact that the state's poet laureate, Tod Marshall, is a Spokane resident and Gonzaga professor. 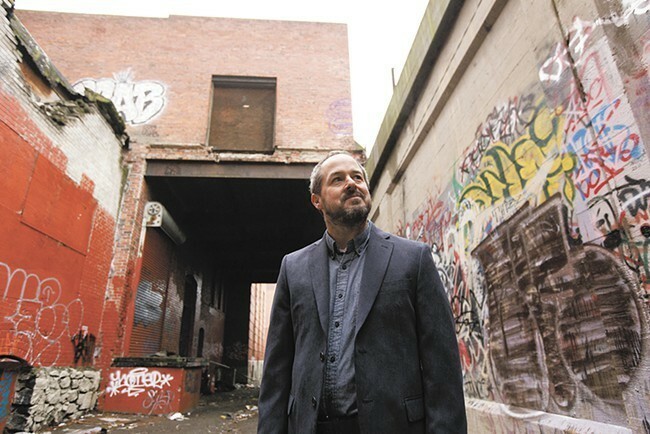 His term as poet laureate is in the home stretch as he nears the completion of two years scampering around the state, meeting with groups large and small, encouraging people to find the poet inside themselves and enjoy the words of their fellow Washingtonians. Lest you think Marshall is a quiet academic type, content to wallow in the wonderful wordsmiths of yesteryear, you should maybe check out his column for the Seattle Times, published online Tuesday and in the major daily in Wednesday's edition. "The president devalues language, abuses truth and leeches the meaning from words. As Holocaust scholar Timothy Snyder reminds us, without agreed upon language there can be no shared truths. Without shared truths democracy fails. "Further, without shared understanding of language, we cannot have honest and open conversations about race and social justice, about economic inequalities and health-care policy, about the history of discrimination in our country and the possible routes toward transcending mistreatment of any part of the population." Marshall's term ends in early 2018, and no doubt he'll be heard from again on the state of the country — in poems or columns. You can read the entire Seattle Times piece here.